This is a sample high-value agreement for individual tax preparation services that incorporates cost-saving technologies and procedures to save time and money while maintaining a high level of professional service (revised 2/7/2019 for 2018 tax returns). Thank you for choosing me to help you with your tax filings. I truly value the trusting relationship implied and will do everything I can to prove that you were wise in making this choice. My goal is to give a stress-free tax filing experience. Clear communication plays an important part in this process. This letter confirms the terms of my engagement with you and outlines the nature and extent of the services I will provide. “I”, “me”, and “we” used throughout this agreement refers to Tony Novak, my supervised staff, service providers and contractors. “You” refers to you and your spouse, if applicable, and any dependent on the tax return or other person who provides tax information. “Writing” includes text messages and email communications. NON-SECURE COMMUNICATIONS: Non-secure communications about this service can be made through any of the following: Email: tony@tonynovak.com, Phone: 302-404-3263, Fax: 888-581-0748, Cell: 856-237-9199, Web: www.tonynovak.com, Skype: novak.tony, or Facebook messenger account: Onlineadviser. I will provide informal updates periodically, not less than on a weekly basis throughout the engagement. If you do not receive these communications then it is your responsibility to ask about the status of the engagement. SECURE COMMUNICATIONS: Secure communications are safely and easily sent through a document portal. I will send you an email invitation to use this service. The secure document portal that you create is private, password protected and under your control. Alternately please use https://onlineadviser.securefilepro.com/ to use the guest portal without your own account. 1. Prepare your federal and state tax returns for the current tax year based on data that you provide or on estimates where actual documentation is not available. 2. A local income tax return or local services tax return will be prepared if applicable and if required. 3. No additional tax return preparation, bookkeeping or accounting procedures not listed here will be performed unless specifically included in the “Special Circumstances” section below or in a separate written agreement. 3. Electronically file the tax return and provide you with evidence of acceptance of the electronic filing, unless paper filing or other arrangements are agreed. 4. Provide an electronic copy of all filings via secure private online document portal. A paper copy of the tax return is available on request at a standard fee. 5. Communicate with you directly in person, by telephone, text message and email during the engagement. 6. Provide information to allow you to file local income taxes directly online or by mail, if applicable, in the most efficient manner. Unless otherwise stated, this engagement does not include the actual filing of a local income tax return. 7. Retain and securely store copies of records used in the preparation of your income tax return and copes of your income tax return for at least as long as the period required by law. LIMITATIONS OF WORK: My work in connection with the preparation of your income tax returns does not include any procedures or work on any tax return not listed above. If you have tax filing obligations for other periods of time, in other countries, in other states or tax returns for local governments that are not listed above then we agree that I am not engaged to work on those filings or prepare those tax returns. I will perform accounting services only as needed to prepare your tax returns. My work is not designed to discover defalcations or other irregularities, should any exist. I will use my judgment in resolving questions where the tax law is unclear, or where there may be conflicts between the taxing authorities’ interpretations of the law and other supportable positions. Unless otherwise instructed by you, I will resolve such questions in your favor whenever possible. I generally require a copy of your personal identification each year to meet the government’s new identity theft prevention requirements. Also, if you plan to pay or receive a tax amount by electronic transaction, then I need your bank account number and routing number. PRIVACY AND SECURITY: I follow a privacy and security policy that meets or exceeds industry standards. The policy is available online at tonynovak.com/privacy-and-security/ and is not produced here. If you want an electronic or paper copy of the policy, please let me know. You are not required to adhere to any specified privacy and security standard. You may take the lead in modifying the standard and I may follow your lead. For example, if you ask a question about your taxes in a public area and I answer, then that changes the level of privacy. You may submit documents via text message and I may respond to the same text message number with personal tax information. ONLINE DOCUMENT HANDLING: You can send electronic documents in any format via text, email, fax or online. I will provide a private secure online portal as the safest and most reliable way to deliver electronic documents. Use of the portal is optional. The preferred and most common electronic document handling method is a cell phone scanner app that converts photos to a PDF file. DOCUMENT RETENTION: I will retain and securely store electronic copies of your records that I use for my work and our own work papers used for your engagement for seven years. Copies of these or paper printouts of these documents are available at an additional fee. There is no extra charge for an electronic copy of a single document, for example, a copy of last year’s W2 or tax return. I do not keep paper copies of any documents. I do not keep electronic copies of any documents that you may provide that are not used in my work. PAPER DOCUMENT HANDLING: If we accept any original paper records from you, they will be returned to you as soon as possible. You should store your original paper records, along with all supporting documents, canceled checks, etc., as these items may later be needed to prove accuracy and completeness of a tax return. I recommend that you scan and save electronic copies of all original paper documents as part of an ongoing functional accounting system and I offer help with setup of this service or “catch up” on this on request. I recommend that you install and use document scanning and storage systems that are available for smartphones. Otherwise, I do not keep copies of original paper documents. If you require paper copies of documents then you authorize my use of a third party document printer, like a print shop, and accept the security risks that may be associated with paper documents. There is a charge for handing, copying, scanning, and mailing paper copies of documents. If you have not selected to e-file your returns with our office, you will be solely responsible to mail the tax returns with the appropriate taxing authorities unless we make other written recommendations. TIMING OF WORK: Timing of this engagement is critical. Unless otherwise stated as described under the “Special Circumstances” section below, completion of this work is expected on or before the filing due date. The work under this engagement starts when the agreement is signed and delivered and payment of the online invoice is received. The timing of completion of work is largely dependent on the date of delivery of requested information. I will communicate in writing of the expected completion of work date, review date and the filing date. I will also communicate any change in the expected dates in writing within 48 hours of any such change. FEE: The fee is communicated separately in an electronic invoice from me that becomes part of this agreement by reference. In the event that the timing of the work plan is changed, the fee may be raised by agreement to include a surcharge during rush periods that typically occur before tax filing deadlines. 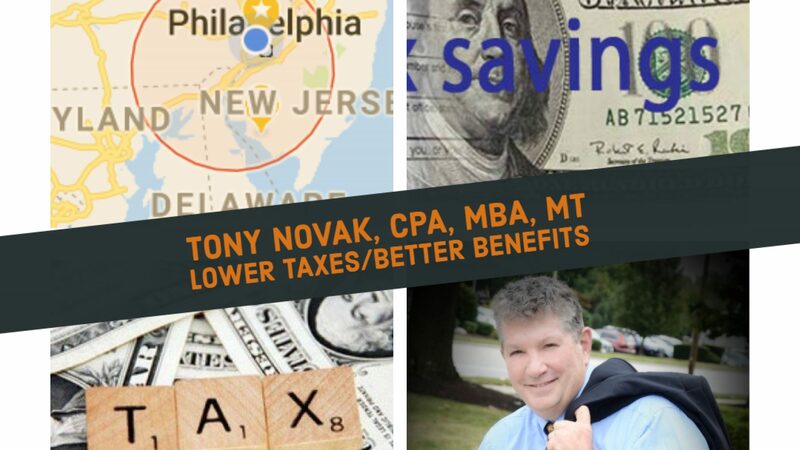 FEE SCHEDULE: The fee is based on a sample fee schedule that is published online at http://tonynovak.com/tax-services-fees-in-2019-for-2018-tax-returns/ and available on request as the base fee and then is customized to incorporate the specific details and timing of our work plan. ESTIMATE: An estimate of the tax preparation fee may be obtained by adding together the amounts on the fee schedule that apply to your tax return. ADDITIONAL FEES: Unless we have reached another fee arrangement in writing, an additional fee of $15 applies if payment is made in cash, manual check, or if payment is not made prior to the end of the engagement. Additional fees apply to paper handling as described below. If a fee remains unpaid 15 days after the end of engagement an additional fee applies and the account is then managed by a separate account receivables contractor. There will be an additional fee of $30 per ten minutes spent if total number or time spent in communications of all types (in-person, email, telephone, and text messages) between us on the work on this engagement is significantly more than normal for this type of work. An extension filing fee of $15 applies if we are unable to meet the tax filing deadline due to late arriving information. COST-SAVING MEASURES: The lowest fee quoted in the Fee Schedule or Original Invoice presumes the use of cost-saving measures including the use of a tax organizer document or online accounting software, online document storage and transfer, avoidance of paper documents, electronic invoice and payment, without additional accounting services or out-of-pocket expenses. You are not required to use these cost-saving tools, however, but I want you to know how these technologies affect the price of tax services. If cost-saving measures are not used, my fee will reflect the higher costs. For example, the original invoiced cost assumes payment through online electronic funds transfer (an electronic check or bank debit transaction). If you want to use a credit card payment instead, an additional fee not to exceed 4% will be added to a revised invoice that accepts credit card payments. PAYMENT: Payment is due when I send the invoice; typically during the final stages of the engagement but before filing of the returns. Invoicing could be earlier and payment could be due earlier for new clients or under other circumstances. The invoice is usually sent by email that can be quickly and securely paid online by following the instructions on the invoice. Payment may be made through the secure 3rd party payment processing system linked to the invoice. Most clients use the “click and pay” feature from the electronic invoice. You may elect to initiate payment through another payment processor of your choice like PayPal or Venmo. Payment may be made from any bank account (using your bank routing number and account number), bank card or credit card for the payment. DISCOUNT OR REFUND FOR REFERRALS: The tax preparer’s fee under this agreement will be fully discounted (or refunded if already paid) to you upon completion of four comparable new client referrals to us. Other fees that are not for tax preparation services are not included. A referral form is included with the delivery of tax return documents. END OF ENGAGEMENT: Our engagement ends with the delivery of the completed documents to you for paper filings or our confirmation of filing of your tax return for e-filed tax returns. EARLY END OF ENGAGEMENT: In the event that either of us encounters unexpected difficulties in completing the tasks anticipated under this agreement, we may opt to end this engagement before the time described above in the “End of Engagement” section by giving written notice. There may or may not be a reason stated for the early termination and we may recognize that a termination without stated reason is in our collective best interests to avoid further conflict. In the event of early termination, the fee for the engagement will be reduced to half of the amount described in the “Fee” section above. All work will stop at the point of notice and provisions included in the “Work to be Completed” section above will no longer apply. Both of us acknowledge that these simple provisions in this “Early End of Engagement” section are intended to be used as a previously agreed compromise agreement to resolve a potentially stressful situation in the event of unforeseen circumstances. POST-FILING QUESTIONS: Sometimes questions arise after the end of this engagement because of a communication from a tax authority or some other reason. In this case, I may be available upon request to provide additional service. Letters from IRS, state and local tax authorities are common and do not always require the re-engagement of a tax professional. I may require a new engagement agreement and fee to address some types of questions. POST-ENGAGEMENT LOCAL TAXES: Unless otherwise agreed, this engagement includes the calculation and preparation of a local tax return, if applicable, but does not include the online filing or paper filing of a local tax return. In most cases it is easier and more efficient for you to do this yourself and most clients prefer this method. I am available to perform additional services on local tax filings. Work on a local tax issue after the completion and delivery of the tax return as described here is considered to be after the end of the engagement. RE-OPENING AND AMENDING THE TAX RETURN: In some cases it becomes necessary or advisable to respond to a notice or to amend the tax return. In this case, I may be available upon request to provide additional service. The terms of this service and the cost of this service are not covered in this engagement agreement. Please be aware that the cost of amending a tax return can be substantial; sometimes exceeding the cost of the original tax return preparation. PENALTIES: The law imposes penalties when taxpayers underestimate their tax liability. Please call me if you have concerns about such penalties. Should we encounter instances of unclear fact or tax law, or of potential conflicts in the interpretation of the law, we will outline the reasonable courses of action and the risks and consequences of each. We will ultimately adopt the alternative you select. I do not assume the cost or risk of tax penalties that may be imposed. SPECIAL CIRCUMSTANCES: Unique circumstances affecting this engagement may be discovered after the signing of this agreement. These may be listed below or confirmed separately in writing between us and are incorporated by reference into the overall agreement. Special circumstances known at the time of drafting of this agreement and included in this agreement: none.